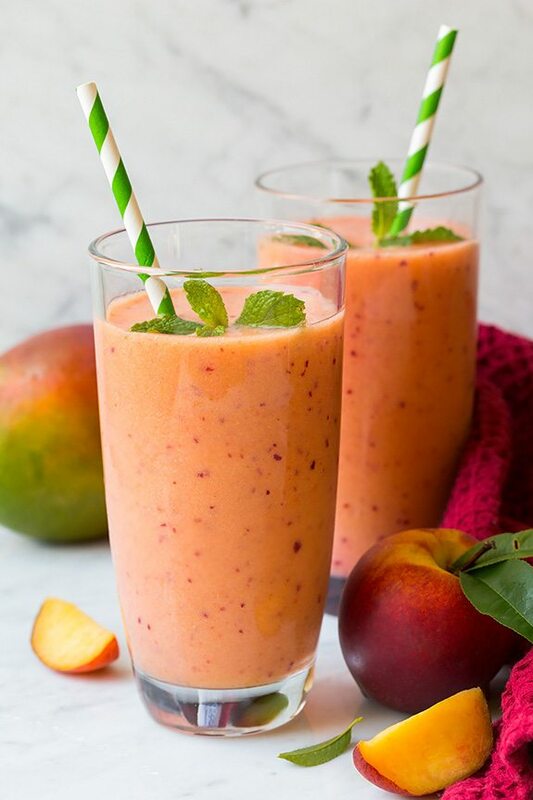 There’s just something about this combination of fruits that just works so well together each one perfectly complimenting the other, and it’s bright flavors will leave you craving more all summer long! 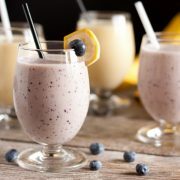 Everyone in my family loved this smoothie and it’s one we’ll make again and again. 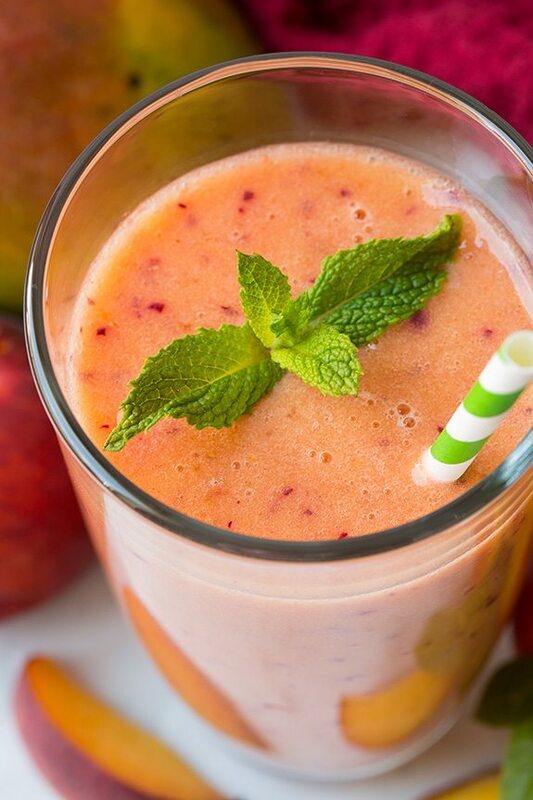 It doesn’t get much easier than fruit smoothies and they’re a great way to pack fruit into your diet. 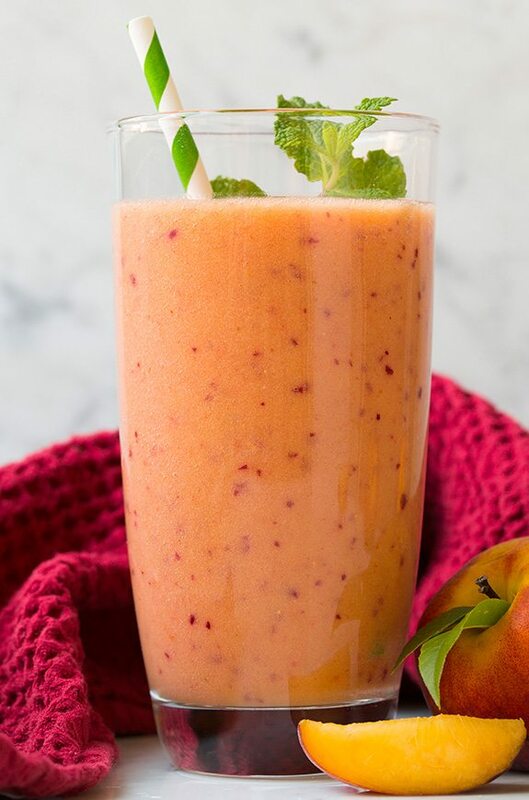 Normally I’m always adding Greek yogurt and almond milk to smoothies to make them more filling and creamy but this time around I went with juice and I actually liked the juice version more than the yogurt/almond milk version. It gave it a nice natural sweetness and kept it fruity. I love how this makes a tasty breakfast or a good midday snack. 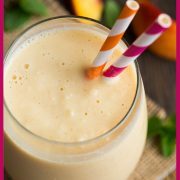 It’s a great way to get some of that recommend daily fruit intake, smoothies are the best way for me to get my kids eat eat lots of fruit. 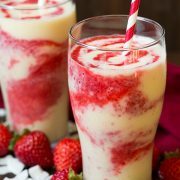 I love how smoothies taste like a treat but they are packed with vitamins and nutrients. In other words I guess I should start skipping that after dinner cake and opting for another smoothie instead. 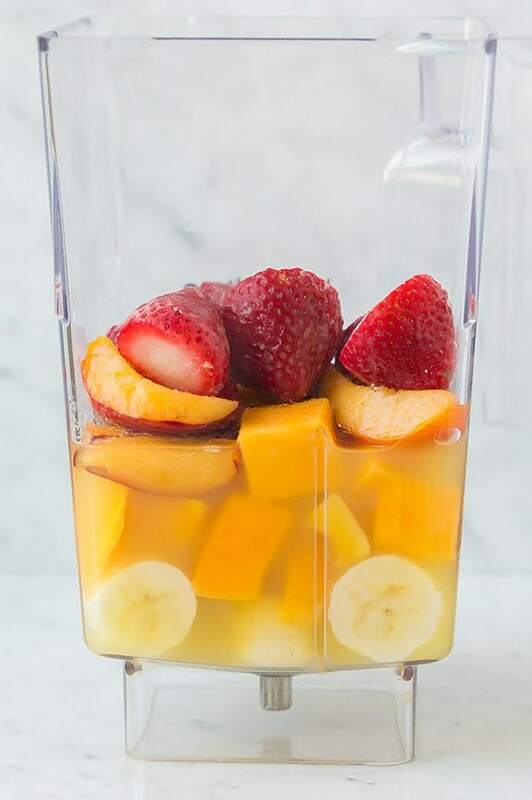 Such an easy flavorful refreshing smoothie! 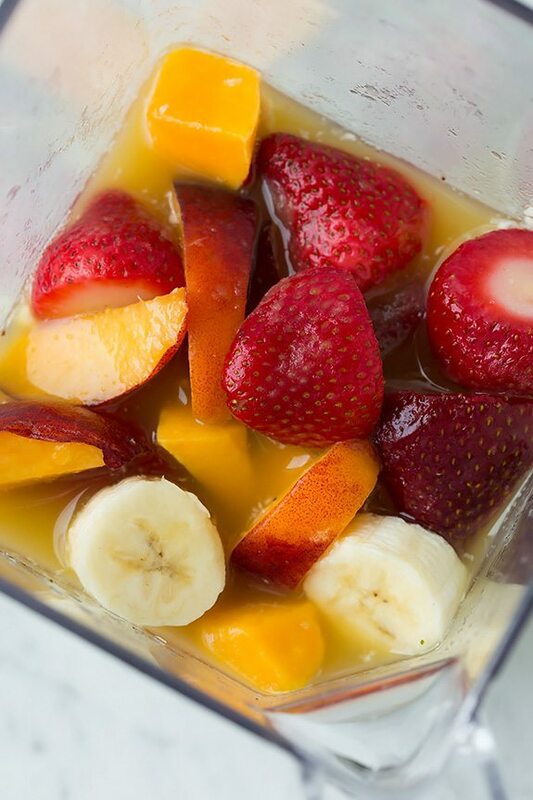 Filled with nutritious fruit and a great start to your morning.